If you are exporting in QuickTime Movie (.mov) format, you can configure the video and audio settings for your exported movies using the configuration interface provided by QuickTime. NOTE To export QuickTime Movies on Windows, Apple QuickTime must be installed on your machine. TIP If you want to render a QuickTime movie with high quality compression and transparency, you can use the Animation video codec with the colour depth set to Millions of Colours+. By default, it is set to match the frames-per-second (fps) of your Storyboard Pro project. If you choose a lower frame rate, your export playback will be faster than your actual project. The reverse is also true for a higher frame rate. 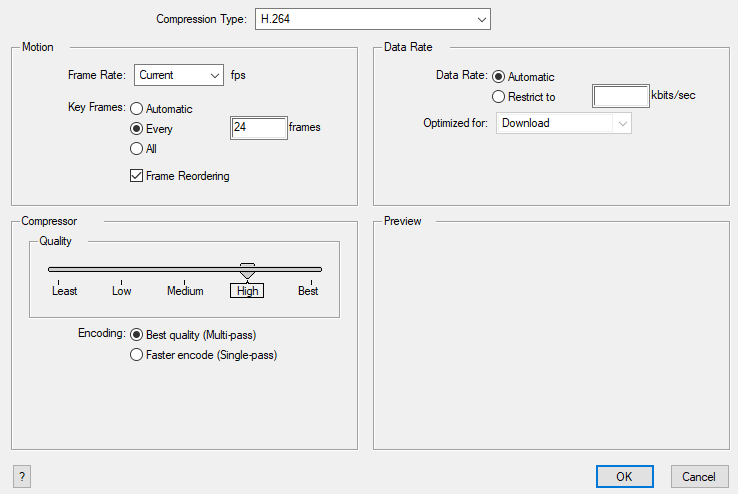 Select the Size of your audio's encoding. Also known as Bit Depth, this determines the amount of precision used to record each wavelength in the audio track. The standard size is 16-bit. If you choose 8-bit, the amount of disk space the audio track of your movie file requires is halved, but the audio quality will be significantly lower. 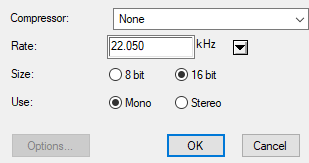 Select whether to Use the Mono or Stereo channel mode. Stereo sound has a separate audio track for the left and the right speakers, allowing to make the origin of each sound realistically match the origin of their corresponding action. 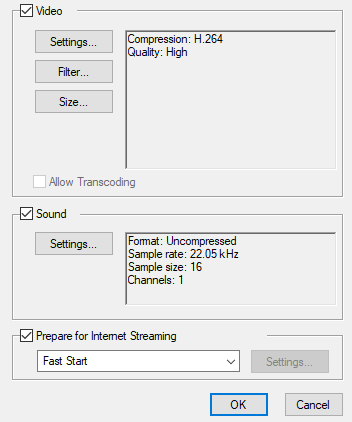 If you choose Mono, the audio track in the exported movie file may use less disk space, but both the left and right channels will be merged into a single track.